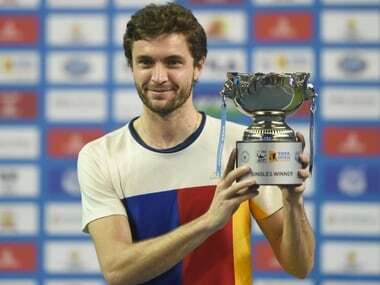 Pune: Gilles Simon's giant-killing spree culminated in a stupendous title win as he humbled second seed Kevin Anderson in straight sets to lift the inaugural Tata Open Maharashtra trophy on Saturday. Simon, who was ranked six in the world at one stage in his career, had knocked out defending champion and third seed Roberto Bautista Agut before shocking top seed and World No 6 Marin Cilic en route the final. It is the first title for Simon, since his win at Marseille in February 2015. The remarkable ease with which Simon positioned himself to receive the serves and returns, made a sight to watch. His effortless court coverage meant that Anderson was locked in long rallies more often, something which worked in favour of the French player. Anderson, the 2017 US Open finalist, struggled to execute his big serve consistently. 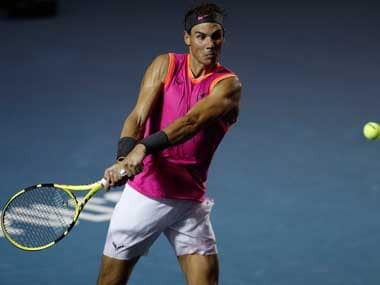 His poor returns even on a humble service, sometimes even below 150km speed from Simon, made his job tough as unforced errors continued to flow from his racquet in the one-hour 36-minute match. With Simon controlling the pace of the game with his superb returns, long rallies were the order of the day. The longest game in the opening set was the fourth when Simon went down 0-40 but saved four break chances after five deuce points. Anderson was serving big but Simon did not let him dominate, using his amazing retrieving skill. Points were initially long when Simon served but the South African's serve came under pressure in the fifth when the French man attacked his rival's second serve. Two service return winners by Simon made it deuce but Anderson wriggled out of tight situation by winning consecutive points. However, he was not spared in the seventh with Simon finding an exceptional forehand winner on the second break-point. 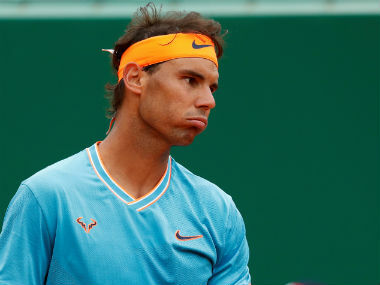 Despite not having a big serve, the Frenchman did not lose a single point on his serve in the sixth and eighth games and the break in between put him ahead 5-3. Anderson got a chance to get the break back when Simon's backhand sailed over the baseline at 30-30 and he grabbed with a passing backhand winner as Simon charged the net. 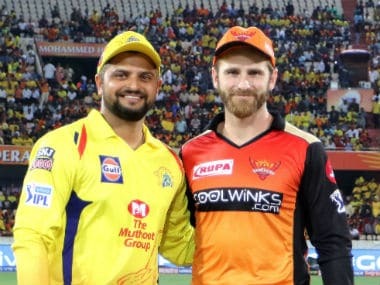 Both the players held the next two games easily, forcing a tie-breaker. Simon trailed 1-3 in the tie-breaker but soon led 6-4 and nailed the set with a forehand winner which he produced after a sensational 39-shot rally. Anderson saved three break points in the second game of the second set but an unrelenting Simon broke his rival in the sixth and eighth to seal the win. Simon lost only three points in his four service game in the second set while Anderson continued to struggle with his errors. His misery finally ended when he hit a backhand wide to give Simon his first title win of the season.